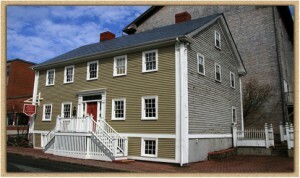 The house was built in 1793 and is a well-preserved example of Colonial Georgian architecture and is also a designated National, Provincial and Municipal Historic Site. Guides dressed in period costumes will take visitors back to a time long before Canada’s nationhood and allow a rare glimpse of a Lunenburg home as it would have been more than 200 years ago. 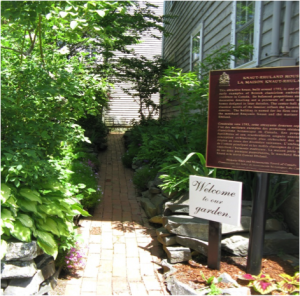 They will also explain how Lunenburg came to be designated as a UNESCO World Heritage Site The house is named for its first two owners. The first owner, Benjamin Knaut, had the house built in 1793. Benjamin was one of the town’s first sheriffs, a trader and privateer. The second owner, Conrad Rhuland, was also a trader and ship-owner and during the War of 1812 was a privateer’s prize master. The museum celebrates and preserves the founding of the town and the history of the Foreign Protestants who settled here. Furnished rooms on the ground floor provide examples of the style of furnishings known to the original owners. The ‘Spiritual Heritage’ exhibition contains a display of bibles and prayer books, some of which dating back to the time of the Foreign Protestants. The ‘Keeping Room’ is home to our spinning and weaving displays and features live demonstrations on Mondays. A ‘Costume Gallery’, ‘Victorian Room’ and the first 100 years of Lunenburg history are represented in displays on our second floor. There is no admission fee to the museum. You can contact us to make an appointment to bring a group of any size into the museum outside of these hours, into the month of October. Knaut Rhuland House Museum at 125 Pelham Street in Lunenburg is owned by the Lunenburg Heritage Society and is maintained, restored and operated though the fundraising efforts of their volunteers and the generous donations made by visitors and residents.